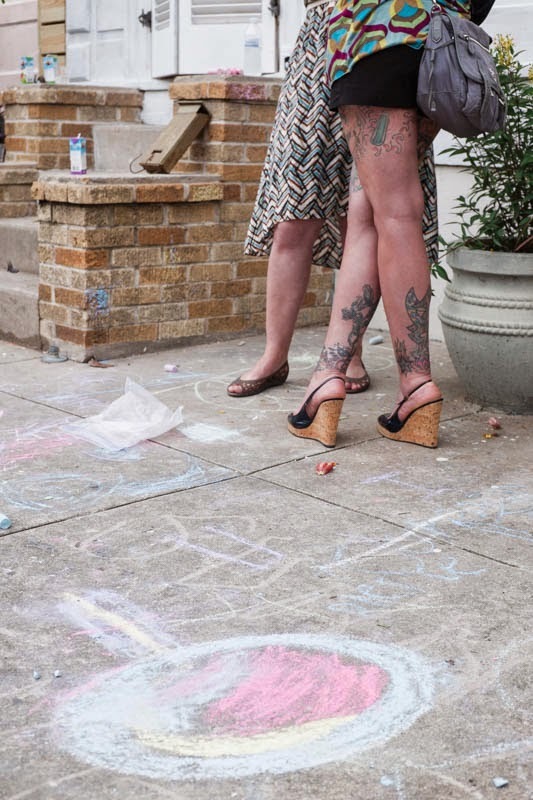 Before Katrina, neighborhoods below Elysian Fields Avenue were not gentrified. 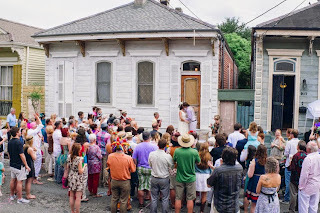 The original Schwegmann's Giant Grocery, celebrated in song and literature, was once un-decorously on Elysian Fields at the corner of Saint Claude Avenue -- where overland passengers today catch the dollar-bus to Atlanta and New York City. Soon the dollar-buses will be herded into Union Passenger Terminal, 1001 Loyola Avenue -- New Orleans' transportation "Zentrum," in the European sense of the word -- home to Taxies, Street Car Lines, Greyhound Buses, dollar buses, City buses, and America's proudly budget-starved Amtrikle Trains. 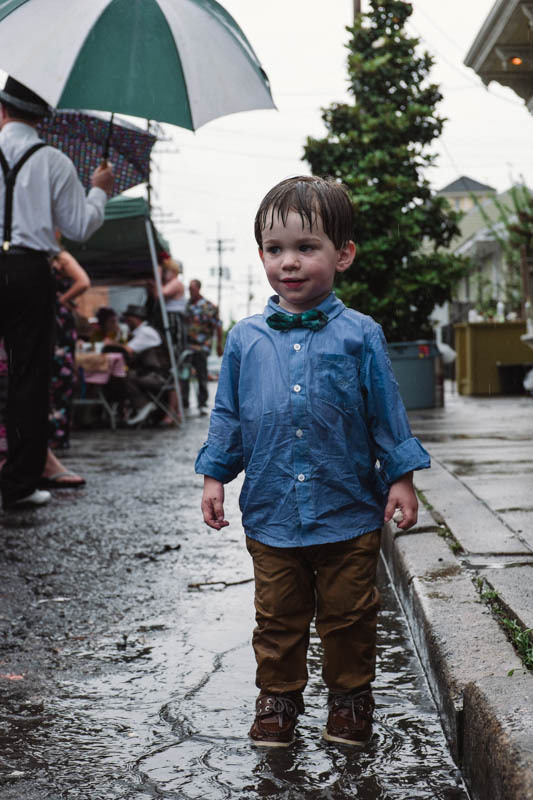 Rumor has it that Roberts, the pre-K. successor to historic Schwegmann's, will soon reopen on the old Elysian Fields / Saint Claude site for the first time since The Storm and they want the parking facilities returned to parking use. "Ain't nothing time and money won't cure," in the words of the late Ernie K-Doe. Schwegmann's, said to still own the land, and the Roberts, who were running the store on the land on August 29, 2005, have been fighting ever since. Over money -- insurance or FEMA -- but soon that Sun gonna shine in all our back doors once more, "Makin' groceries is coming back to the neighborhood after only ten-years, praise be to FEMA!" L. A. Norma snorted through a bubble of cigarette smoke. 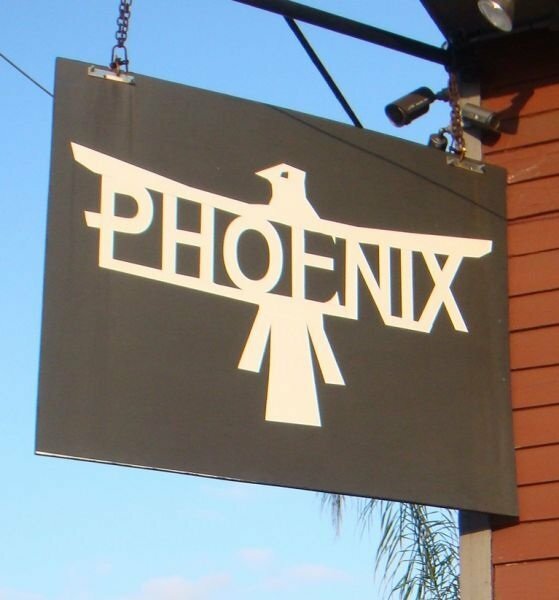 At the rear of the parking lot, across Rampart Street sits a historically gay bar, since 1986, named Phoenix. It thunders its wings all hours of the night and day. 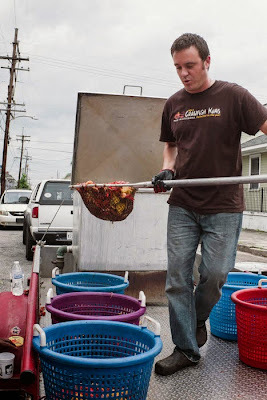 And is deliciously the site of one of New Orleans better Katrina stories. Seems die-hard citizens who weathered The Storm in place crawled out in the days following seeking libation at this -- one of few bars open. 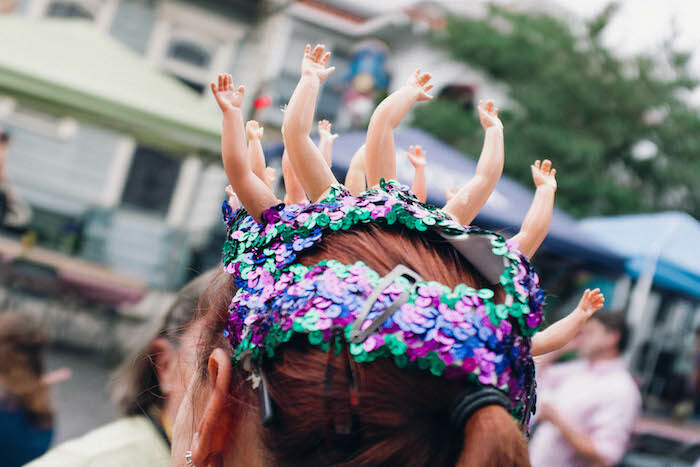 Stinging images burned in everyone's head of indolent President W. Bush flying over New Orleans peering over the window ledge at our flooded Land of Dreamy Dreams. The crowd in front of Phoenix looked up one day as relief planes started tossing out cases of bottled water. The cases came apart midair and the bottles hit the streets and buildings like little exploding water bombs. The wary crowd rallied their die-hard-ness and chanted: "Run, it's the President! RUN!" L. A. Norma, undeterred of opinion by not having been there, said the plane's music system filled Air Force One with Joni Mitchell singing Both Sides / CLOUDS, while Dennis Hastert, then House Speaker, and Donald Rumsfeld, Biggest-ever Daddy Warbucks, danced the, "Let New Orleans Go, We Don't Care" waltz on the plane's wings. which had, "The best boil in Town, cher!" everybody said. 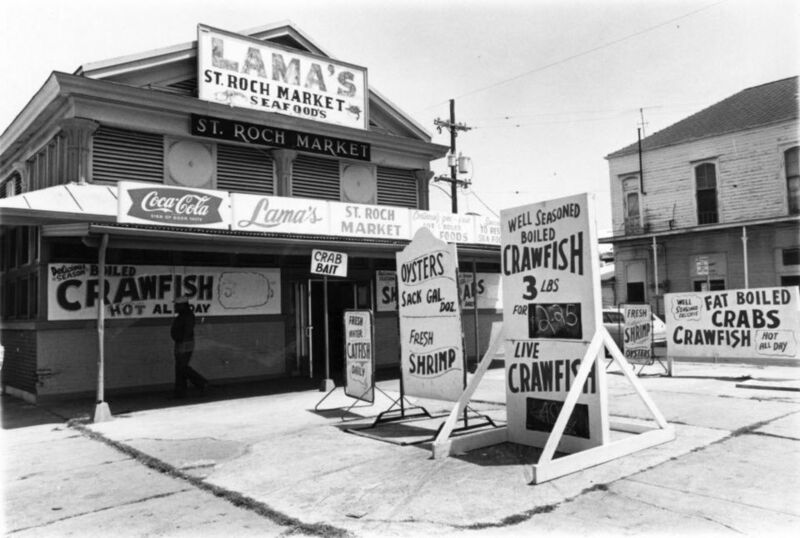 Today, Saint Roch is a gussied yup-palate taster's hall, and down the street a few blocks a handsome young chef is standing atop a flatbed truck stirring his new boil of shrimp and crawfish for a wedding party. 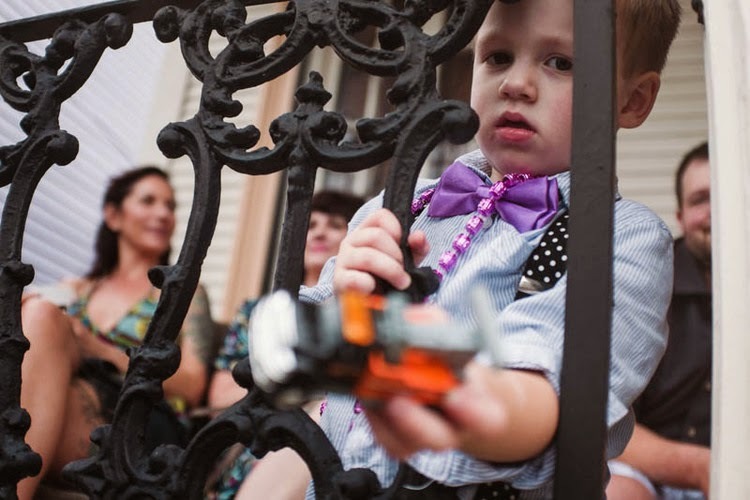 "It is said to have oranges in the boil," Norma tells wedding guests from Belgium. 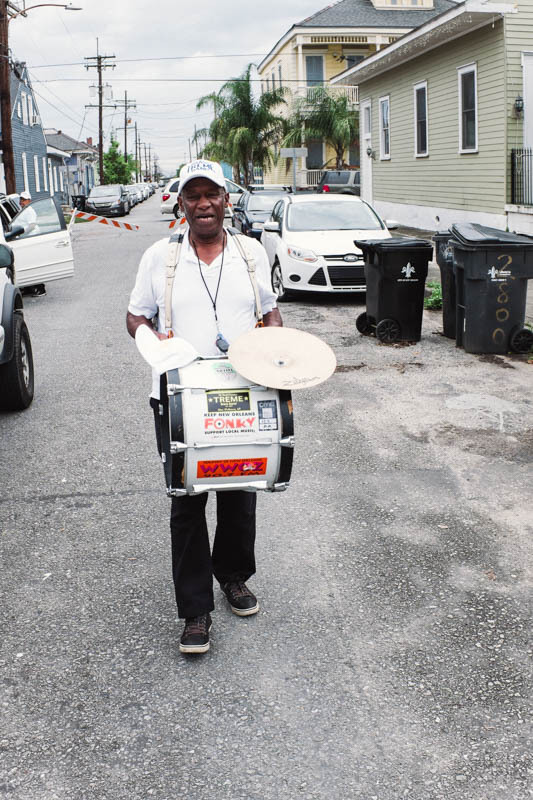 The Treme Brass Band arrived promptly after having led a funeral Second Line from Saint Augustine's Church to Saint Louis Cemetery. The object of the parade was bones unearthed during the installation of a swimming pool. It was determined by smart folks, the bones were those of six early settlers thought to have been slaves. 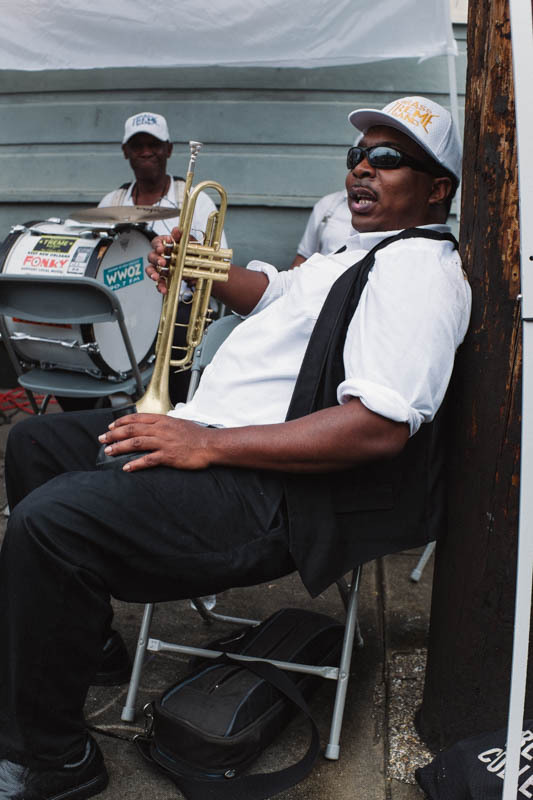 The State gave them to the Church, and the Treme Brass Band led them to a donated tomb in Saint Louis Number One. No other reparations were discussed and the Treme Brass Band then played for our wedding celebrants now dancing in the rain. 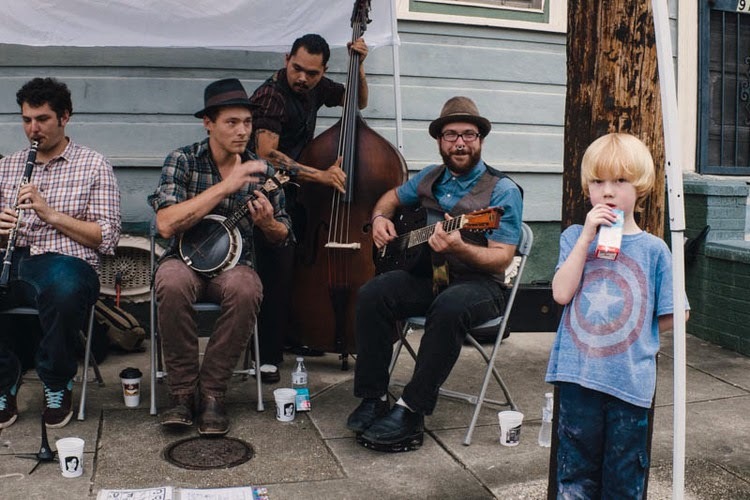 A talented Royal Street buskers band, called Winding Boys, also played. Their canary, Jenavieve Cook, sang like an angel with experience. And a nuclear physicist from Seattle talked to me about America's one-attempt at a nuclear merchant fleet, the late 1950s-built nuclear merchantman, N. S. Savannah. Alas, she was unwanted in all the world's ports of call and the federally funded, industry boosted project failed. "Of course, we could do it better today," our new friend told us. 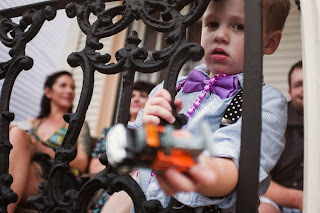 A little boy in beads and bowtie attended lavishly appointed for the celebration. Squad cars detoured traffic. Tents covered folding chairs. 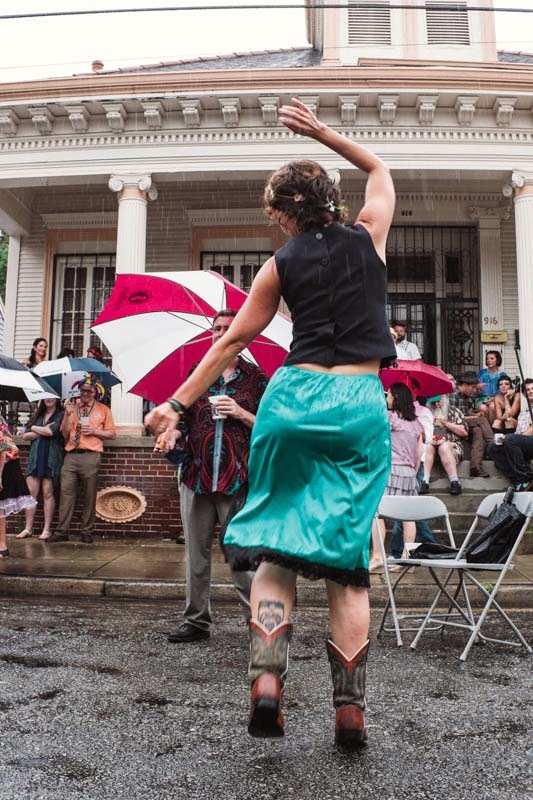 And neighbor Pete, wearing a brown t-shirt emblazoned with a red star and the word Cuba dragged real church pews from his living room to the curb. 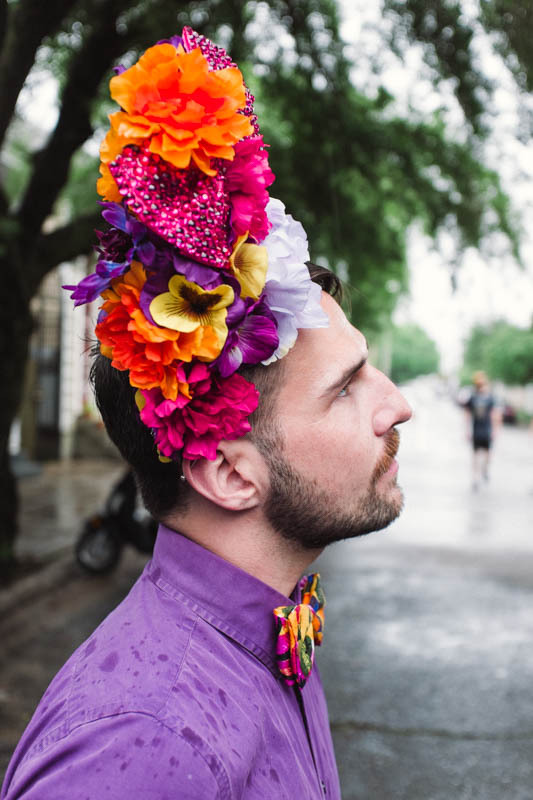 Spirit enough bubbled round to lure the Marquis de Lafayette, Butter, and Bernard de Marigny from their graves. A passing blond woman stopped, holding a beautiful blond child in her arms. I said she was a lucky Mother. She said her name was Sarah, and she was from Boston, and was an architect. 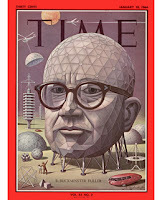 "I went to school in Carbondale, Illinois," I told her, "where the acclaimed Bostonian, thinker, designer, R. Buckminster Fuller lectured in the Fabled Sixties, at Southern Illinois University." Her face fell slack and she said, "Bucky was my Great Uncle. There was a rift in our family." 1964, also told the story in a cover piece on Fuller. His kinsman wrote a ditty that went: "Bucky found a tuppence and he's off to buy a yacht ..."
" 'If you do not love me I shall not be loved,' " Norma toasted us all, from Samuel Beckett. Your monthly e-mail notice may not come. New Yahoo's mail system is too cumbersome for me. Our mailings can not be done one-at-a-time, we have thousands of e-readers. And I'm very old and very slow. You may not receive a monthly notice for YOURS TRULY IN A SWAMP, LEJ's Louisiana until / unless I figure out how to set up a new freemail system. But you can always go to www.LEJ.org. (Don't hold your breath on my figuring out le Internet. I am a storyteller, not a computer-pinball gamer). Contact me if you want on the list - that may get e-mailed. If you wish to read any month's column go to www.LEJ.org. © 2015, Leonard Earl Johnson, All Rights Reserved.